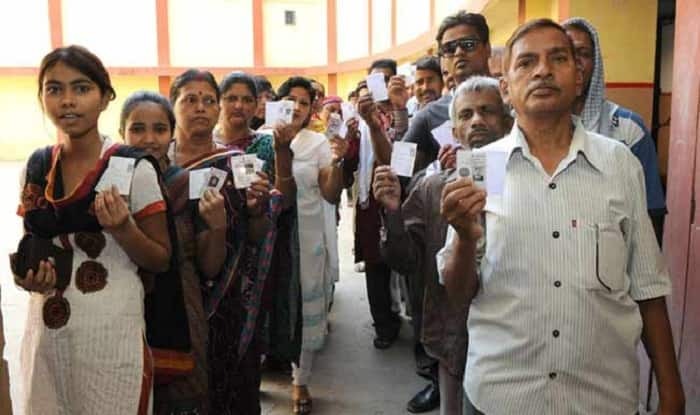 The Lok Sabha Elections 2019 voting for Pollachi, Dindigul, Karur, Tiruchirappalli and Perambalur will be held on April 18. The counting of votes will be conducted on May 23. Pollachi constituency has 1,017,811 total number of electorates, as per the Election Commission of India (ECI) 2009 data. In 2014, the seat was won by All India Anna Dravida Munnetra Kazhagam’s (AIADMK) Mahendran C against Bharatiya Janata Party’s (BJP) Eswaran ER. For Lok Sabha Elections 2019, the AIADMK has fielded Mahendran C against Bahujan Samaj Party (BSP) Ganesha Moorthy A and DMK’s K Shanmugasundaram. Dindigul constituency has 1,085,696 total number of electorates, as per the Election Commission of India (ECI) 2009 data. In 2014, the seat was won by All India Anna Dravida Munnetra Kazhagam’s (AIADMK) Udhaya Kumar M against DMK’s Gandhirajan S. For Lok Sabha Elections 2019, the Bahujan Samaj Party (BSP) has fielded Arasur Manoharan (A) Manoharan S against DMK’s Velusamy P.
In 2014, Karur seat was won by BJP’s Radhakrishnan P against Congress’s Vasantha Kumar H. For Lok Sabha Elections 2019, the Congress has fielded Selvi Jothi Mani against AIADMK’s Thambidurai M and Bahujan Samaj Party (BSP) Aadhi Krishnan P.
Tiruchirappalli constituency has 1,067,193 total number of electorates, as per the Election Commission of India (ECI) 2009 data. In 2014, the seat was won by All India Anna Dravida Munnetra Kazhagam’s (AIADMK) Kumar P against DMK’s Anbhalagan Mu For Lok Sabha Elections 2019, the Bahujan Samaj Party (BSP) has fielded Balamurugan S against Congress’s Su Thirunnavukkarasar and DMDK’s Dr Elangovan V.
Perambalur constituency has 1,049,033 total number of electorates, as per the Election Commission of India (ECI) 2009 data. In 2014, the seat was won by All India Anna Dravida Munnetra Kazhagam’s (AIADMK) Udhaya Kumar M against DMK’s Gandhirajan S. For Lok Sabha Elections 2019, the Bahujan Samaj Party (BSP) has fielded Muthulakshmi R against AIADMK’s Sivapathy NR and DMK’s Paarivendhar TR.